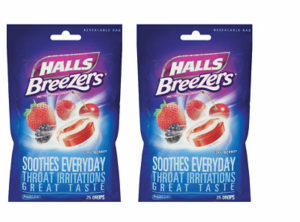 $0.49 Halls Breezers Cough Drops at Target! Halls Breezers Throat Drops sell for $1.59 at Target. Stack the $1.25/2 newspaper coupon with the 30% off Target Cartwheel offer and pay just $0.49 each!